The HPE Ethernet 1Gb 4-port 366M Adapter is a PCIe 2.1 quad-port 1Gb Ethernet mezzanine network adapter for selected HPE ProLiant BladeSystem c-Class Gen8 servers. HPE Ethernet 1Gb 366M Adapter with 4-ports include RSS, PXE, checksum offload, VLAN, jumbo frames, iSCSI acceleration and iSCSI remote boot. 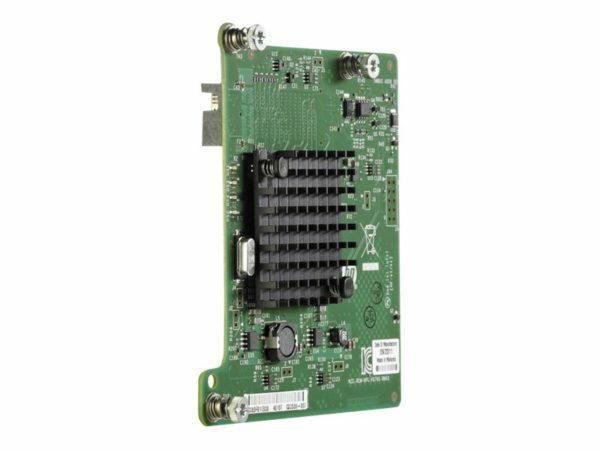 HPE Ethernet 1Gb 366M Adapter delivers greater throughput for I/O intensive applications like virtualization, firewall and other security options, network segmentation, and other bandwidth applications.